Are you searching for a residential air duct cleaning company? If so, we can help! 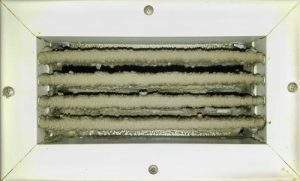 Regular air duct cleaning has many health benefits for all residents of a home, office or building. Dirty air ducts affect the health of people by contributing to poor indoor air quality. With the help of a professional air duct cleaning company, you can remove such contaminants and get a better breathing environment for you and your family. Air Purification Technologies is here to help you in this regard. 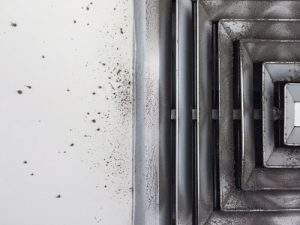 Air Purification Technologies offers professional residential and commercial air duct cleaning services throughout Miami, Broward and other surrounding areas. We use a specialized, powerful rotary vacuum which is the best of its kind and most effective to clean air ducts and any other ventilation systems. While at the same time the particular vacuum draws air through the system, we use other devices to dislodge contaminants and dust and debris from the interior surfaces into the vacuum. As a result, you will get a good breathable environment that is beneficial for every member of your household. Furthermore, our highly trained and experienced technicians will follow the rules and regulations established by the air duct service industry. Air Purification Technologies prides itself on offering families with improved indoor air quality services across Florida. Our residential air duct cleaning service allows your HVAC systems to operate as they should. Ductwork that has accumulated debris and dirt and coils that are rusted will not perform as they should at your home. The air moves faster and better over a clean surface and will enable your HVAC systems to work at peak efficiency reducing asthma and allergy triggers from anyone at your household with health problems. No job is too small or too big for Air Purification Technologies to handle. Whether it is a 20-story building, a 2,000-room hotel, or a 100,000 square feet shopping center, our technicians respond to large-scale projects and undergo rigorous training. You can count on our trained, qualified, and certified air duct cleaning professionals to do the job right the first time. We will perform a one of a kind service through your air ducts without interrupting the flow of business. Air Purification Technologies understands that healthcare facilities require more in-depth cleaning than any other commercial building. With our training, certifications, and knowledge acquired through the years on containment, positive and negative pressurization, risk areas, airborne pathogens, and system shutdowns, we are prepared to perform the services needed to provide an efficient healthcare HVAC system. The cleaning elements we use are non-toxic and safe for you, your family, pets, employees, and the environment. At Air Purification Technologies we will work according to your schedule as you are our top priority. For scheduling, call us at 954-241-7352.